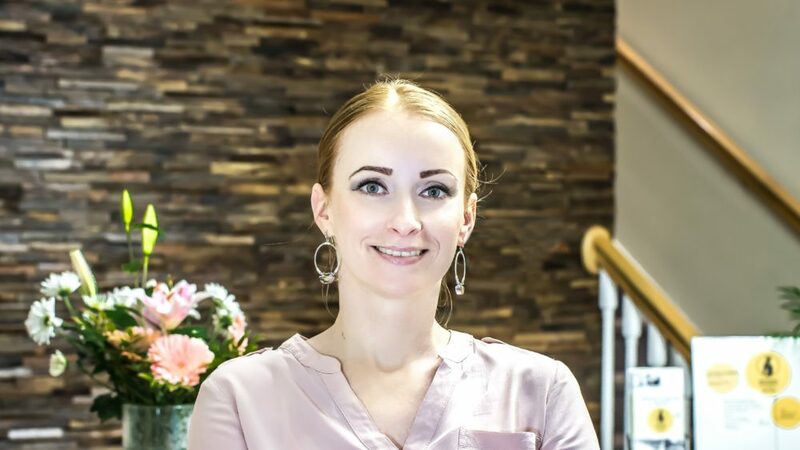 An interview with Alina Tudor LMT and owner, reveals the practice at the new Rehoboth Beach massage studio. It consists of massage therapy, posture alignment, and Feldenkrais Awareness Through Movement. “Combining these methods, I can solve and improve a variety of muscular-fascial-skeletal-neuronal conditions,” said Alina. What conditions can I improve? To begin with, I get great results with conditions like stress, chronic pain, muscular problems and skeletal problems. Additionally, scoliosis, sciatica and back pain are my focus. Moreover, I get great results with tendonitis, plantar fasciitis, and rotator cuff injuries. Some of my customers see me after they tried Physical Therapy or the doctor recommended surgery and they don’t want it. As well, I see people that live with stress and they want to change something about it and improve their lifestyle. Important to know is that my customers are people that have pain for various reasons and they realized that their posture might be the problem. In the first place, my strategy regarding these symptoms is to go to the root of the problem. In many cases, it is unconscious postural habits and incorrect ways of using the body. In other words, limited AWARENESS and mechanical use of their own body. I use hands-on and verbal guided movements that develop awareness of the body movement. I educate our customers, this way they will have long-lasting improvement. Important to realize is that our whole self and life triggers a body problem. For some people, healing happens in a few sessions, for others is a long-term process. The human body is fascinating to me and that’s why I never stop learning about it. Having more options (techniques) to work with is always helpful. I see the customer in the present, I meet the person in their need. That means that I never use the same techniques with everybody. Every person is unique. As a matter of fact, if we would be AWARE of our own body, the pain will happen less frequent. Here comes the Feldenkrais Method that teaches us how to be present in the way we move and do things, sit, drive, perform, practice sports and so on. It’s like taking adults back to the child body, where the movement was possible and it allowed diversity. How did you get involved and what led you down this path? I always had a curiosity and interest in the human consciousness. I studied Philosophy in college but I’ve only learned about thinking, the mind, ideas. Something was missing and philosophy was not practical. I started the first massage school in 2004. Since then, I’ve been learning new approaches and at the present time, still learning ( we’re in the third year of the Feldenkrais training, finishing in 2019). Now, after 14 years of working full time in this field, I am confident and happy to find the human consciousness connected with the awareness of our human body. It is practical, beneficial, environmentally friendly, community oriented and most of all, it leads to healing. Types of cases you see and any results? As can be seen, Alina and George improve a variety of conditions. From stress relief to chronic conditions like chronic pain, posture alignment issues, pinched nerves, loss of mobility, sciatica, arthritis, recovery after surgery or PT, scoliosis, post-cancer treatments stress, and so on. In the future, we will work with people that have strokes, multiple sclerosis, and nervous system issues like losing the ability to read or speak. Our customers find improvement after each session. Some of them fully recover, others improve significantly. Ask for a posture analysis at Rehoboth Massage and Alignment, our Rehoboth Beach massage studio.